Former Columbia City Manager Mike Matthes will receive more than $166,000 in severance pay. Matthes resigned from his post last week. The City council voted Monday in a unanimous decision to approve the mutual severance agreement which gives Matthes a lump sum equal to his yearly salary and compensation for all accrued vacation and holiday leave, totaling almost $180,000. 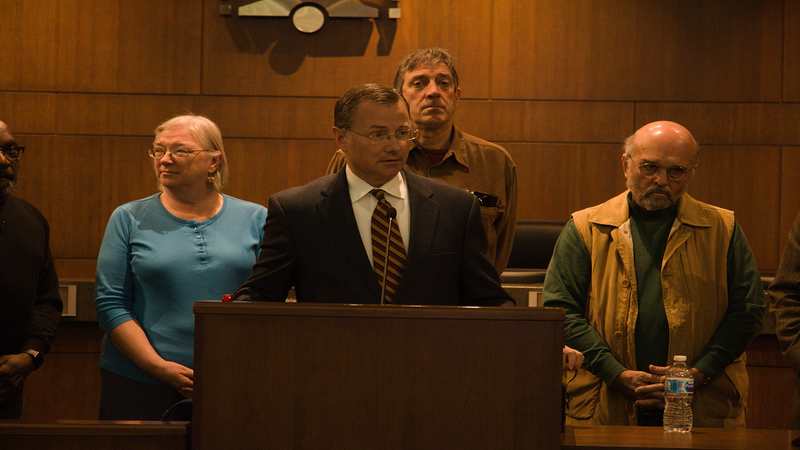 Mayor Brian Treece said the severance package is consistent with Matthes’ employment agreement. Matthes resigned after serving as city manager for seven years. During this time, he was criticized for his handling of the city’s community policing initiatives. “I concluded based on several readings of the plan or report on community policing that we were not going to make further progress towards an authentic community oriented policing program under the existing city manager,” Fourth Ward Councilman Ian Thomas said. Third Ward Councilman Karl Skala also said the handling of the community oriented policing program was a contributing factor. “I have said on a number of occasions in public and otherwise that the city manager for some period of time, for the past year, has had my vote of confidence but that confidence is starting to diminish so there has been a bit of a history of some issues that came up in the course of personal evaluations,” Skala said. Deputy City Manager John Glascock has been named interim city manager. The city council will start the process for hiring a new city manager by selecting a search firm. The city council members said they would like to interview firms in about three weeks. In the past, search firms have cost about $25,000.